With bucketloads of Saaz hops added at strategic points in the brewing process, Macs Sassy Red gives an exceptionally 'hoppy' aroma. The nutty, biscuity flavours come from the 5 different malts used. 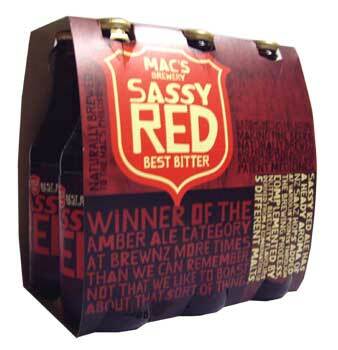 Sassy Red has won the Amber Ale category at the NZ brewing awards every year from 2003 to 2006.